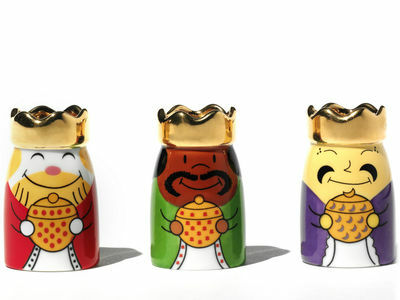 "A christmas very ''design'' with this playful and modern figurines. Made of white porcelain and subsequently hand decorated, with bright cold glossy colours. 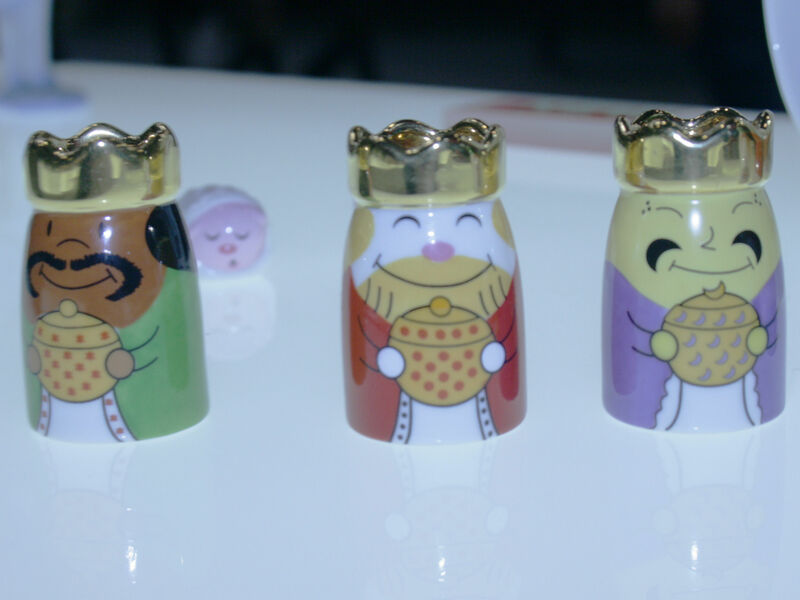 This is a new vision of the porcelain figures. 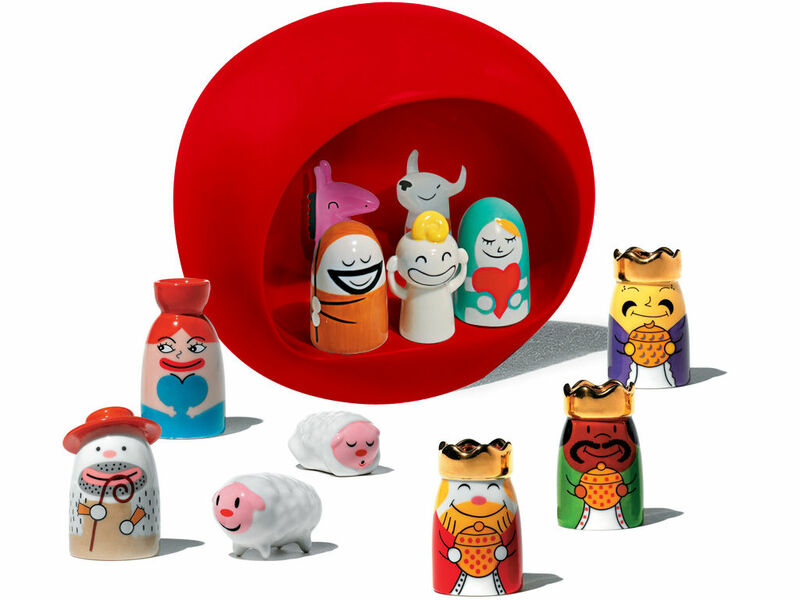 This series of ""Figures"", figurines, objects without purpose, comes from the Alessi's desire to tackle the intriguing world of porcelain figurines, especially the refined traditional European production of manufactured articles of the 18th century and after, in our own way and using contemporary designers. Representing a magic world, the discreet and symbolic presence of the small ornament can be regarded as an inspirational and consolatory whim. 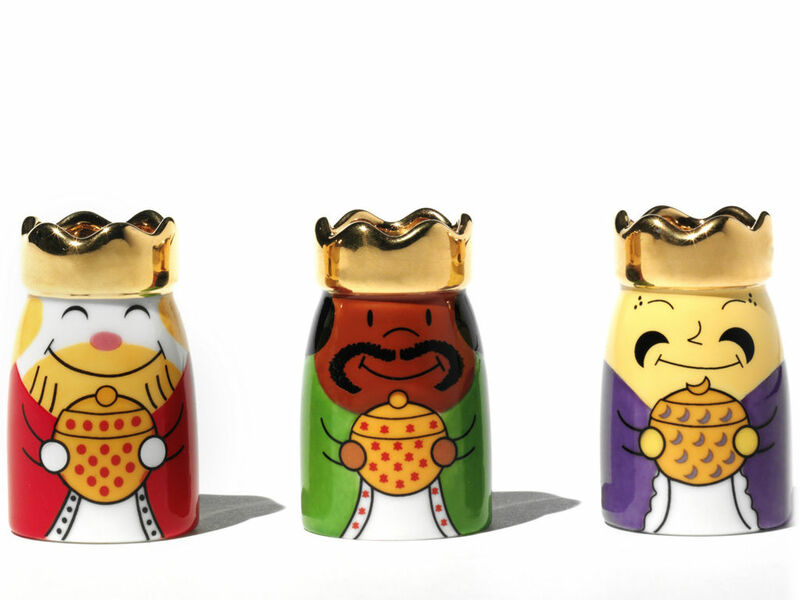 With this collection of figurines we created a series of small loyal companions for the narrative and imaginative rituals of our everyday life."